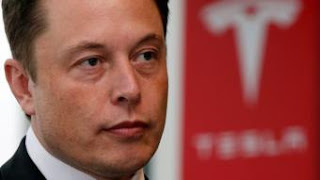 Tesla says it is cooperating with the US Department of Justice following boss Elon Musk's tweets about de-listing. The electric-car firm said it had received "a voluntary" request for documents, but it had "not received a subpoena, a request for testimony, or any other formal process". Its statement followed a Bloomberg report saying that the DOJ had opened a criminal fraud inquiry into the firm. The firm is already under civil investigation by US regulators. "We respect the DOJ's desire to get information about this and believe that the matter should be quickly resolved as they review the information they have received," a spokesperson said.